FREE Frozen Lemonade Sample At Dunkin’ Donuts! 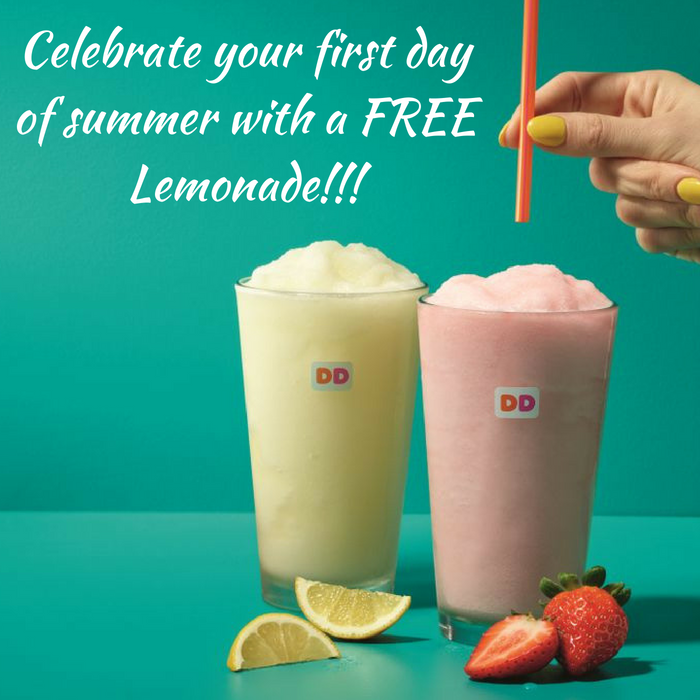 You are here: Home / FREEbies / FREE Frozen Lemonade Sample At Dunkin’ Donuts! On June 21, from 10am to 2pm only! Dunkin’ Donuts will be offering a FREE 3.5 oz Frozen Lemonade Sample to celebrate the first day of summer! No purchase required to get this FREEbie. Sweet!